Pastor Nati Alvarado is the Lead Pastor of The Life Center. During the past 22 years, Pastor Nati has dedicated himself to serving others and has worked tirelessly to provide guidance and opportunities for those in need. Pastor Nati is the founder of Nati’s House a non-profit transitional/re-entry program for individuals’ who have aged out of foster care system and previously incarcerated men seeking to better themselves. In addition he founded Neutral Ground a non-profit organization advocating prevention, mediation & intervention with trauma informed care & restorative practices to break the cycles of gangs and incarceration in Orange County and successfully render individuals back into the community while increasing community safety. Pastor Nati also works with the Orange County Public Defender’s office as a Gang Specialist where he is able to be an advocate for the community. 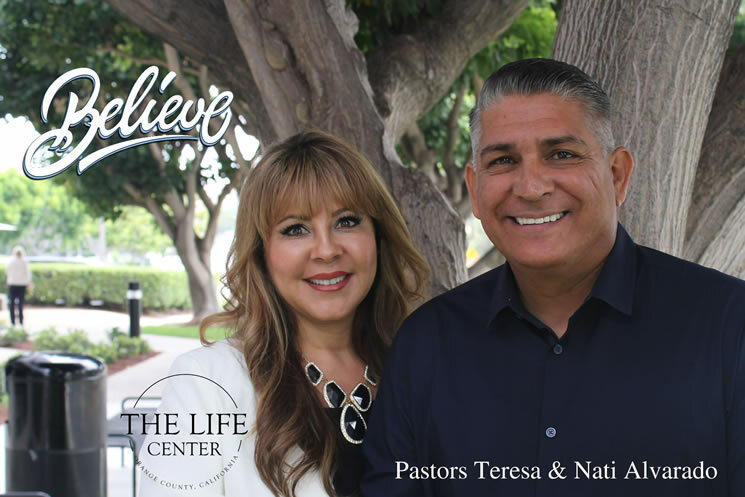 Pastor Teresa Alvarado is the wife of Pastor Nati Alvarado, together with her husband they Pastor The Life Center, located in downtown Santa Ana, CA. At the age of 24, Teresa made the decision to commit her life to God and serve Him. Pastor Teresa's desire is to encourage all women to continue to serve God by being the “real you” that God designed them to be. For Pastor Teresa there is no greater feeling than advancing the kingdom of God & building women to love God & love people.